For Renee Erickson, Matthew Dillon, Jason Stratton, Joe Ritchie and others, the only rule was there were no rules. More than a decade ago, Renee Erickson and her friends who worked in various Seattle restaurant kitchens started something. “We came up with this really stupid name — I think it was Food Club,” she told me recently. The cadre of young chefs exploring Pacific Northwest food together would go on to help define our region’s cuisine. This is the first installment of Bethany Jean Clement’s regular column. 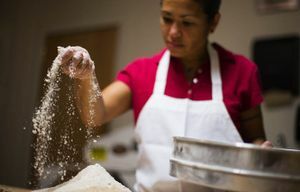 In the weeks leading up her Nov. 15 cover story in Pacific NW magazine asking, “What is Northwest cuisine?” she’ll explore the backstory of the people and landscapes that define the way we eat now. 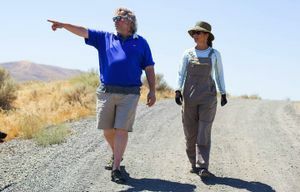 Next week, she visits Tom Douglas and Jackie Cross on their farm in Prosser. Someone knew a fisherman who had just caught a bunch of local tuna, so one Food Club meeting involved learning how to can it (as well as eating it, prepared a half-dozen different ways). Club member Matthew Dillon was working at Stumbling Goat, so he’d finagle use of the kitchen when the restaurant was closed. 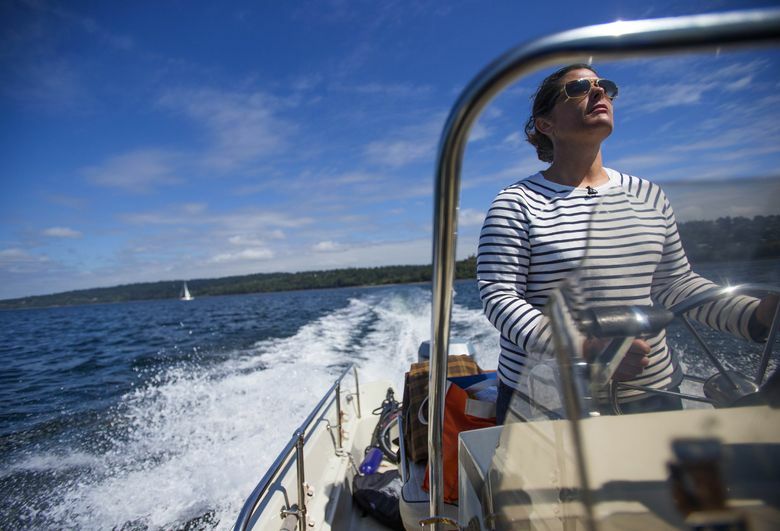 For a big razor-clam fry, all the members and supplies were ferried over to Blake Island on somebody’s boat. Another Puget Sound beach was the setting for an outdoor lamb roast; Justin Neidermeyer hung the lamb’s head from a tree as a trail marker. Christina Choi and Jeremy Faber hosted a night of wild mushrooms at Choi’s Eastlake apartment. More Food Club alumni include Jason Stratton, who took over at Spinasse and now is chef at Mamnoon; Joe Ritchie, chef at the new Goldfinch Tavern at the Four Seasons; and the Corson Building’s Emily Dann. Friend and mentor Jerry Traunfeld, now of Poppy and Lionhead, then of the storied Herbfarm, would also sometimes drop by. When I started as The Seattle Times’ food writer almost a year ago, my editor suggested I write a piece defining Pacific Northwest cuisine. I acted undaunted and said sure. Now that I’ve talked to Renee Erickson about it while out on her boat crabbing, discussed it with Tom Douglas on his farm in Prosser, thought it over with Maria Hines over a glass of wine — and thought it over myself with a glass of wine, a number of times — I’m glad I felt like I couldn’t say no. I hope this is only the beginning of a conversation about — and a celebration of — just how good we have it as eaters in the Pacific Northwest. I couldn’t hope to be complete; that would take a book. If Food Club served as a support group and a collective education for a handful of our best chefs now, other incubators, of course, abound. In her 2007 Pacific NW magazine article “In Seattle’s Kitchens, 6 Degrees,”my predecessor Nancy Leson offers an essential history lesson and an excellent honor roll. A couple years after Food Club disbanded (nothing gold can stay), I began writing restaurant reviews for The Stranger. As I started to get a sense of the people running Seattle’s new restaurants — to see the connections among them, to see them honoring our best foods’ connection to this specific place — it only made sense to meet them face-to-face. For a series for Edible Seattle, I visited 11 local chefs’ homes — the conceit was to go through their refrigerators to report on the findings, but I also got a lot of great snacks. At her Phinney Ridge bungalow in 2008, Erickson made the best scones I’ve ever had, before or since. Her cat sat on my lap while we ate, biting me gently whenever my free hand stopped petting. Christina Choi and I sat out on her sunny balcony on an unseasonably warm winter’s day in 2011, talking for much longer than necessary. She insisted I stay for an impromptu dinner party of food she’d used in a photo shoot for a magazine earlier that day: Le Fournil bread, a round of Seastack cheese, a picture-perfect whole coho salmon with a sour cream, herb and salmon-roe dressing. The experience of reporting like this has been an irreplaceable eduction. Out on her boat, just north of Shilshole last month, Erickson told me about growing up in Woodinville when there was still farmland there; about her mom’s pies made with local berries she and her brother would pick; about days upon days spent on the Sound at the family cabin near Camano Island, fishing and clamming and crabbing. I thought about growing up on the east slope of Capitol Hill, back when the big old houses all had scrubby yards and peeling paint; about my mom’s pies made with backyard rhubarb; about weekends spent out past Yakima helping my grandmother with her Angus cattle, and about how no meat ever tastes as good as the meat you’ve cared for. We pulled up crab pots, got some keepers and reveled in the day, our lives, this place. We popped open a couple Rainiers. “Having this right outside Seattle is pretty epic and fabulous,” she said.